I’m ashamed to say I spent a weeknight recently watching Deuce Bigalow: European Gigolo. What possessed me to spend my precious time watching a silly movie about a man who goes back into male prostitution in order to find the killer of European male gigolos and thus prove his friend’s innocence? Well after a very stressful day at work hubby needed to watch something utterly stupidly funny and requiring no brain cells to comprehend. To that end, the movie worked out just fine. A big bonus was that the movie is set almost entirely in Amsterdam with actual Dutch actors. Hubby’s homesickness is at the point where ANYTHING having to do with the Netherlands is awesome. 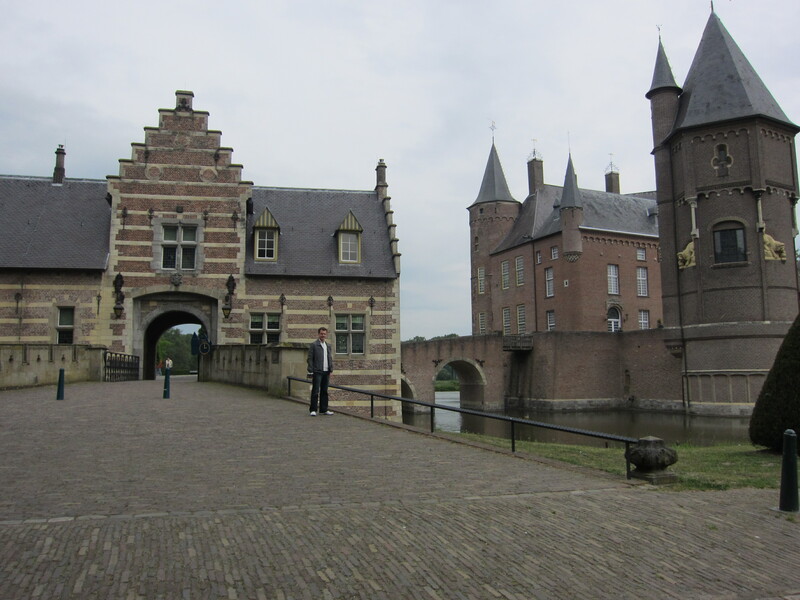 Watching the opening scenes of a male gigolo leaving a grand European castle after serving a wealthy woman, I immediately recognized it as Kasteel de Haar. 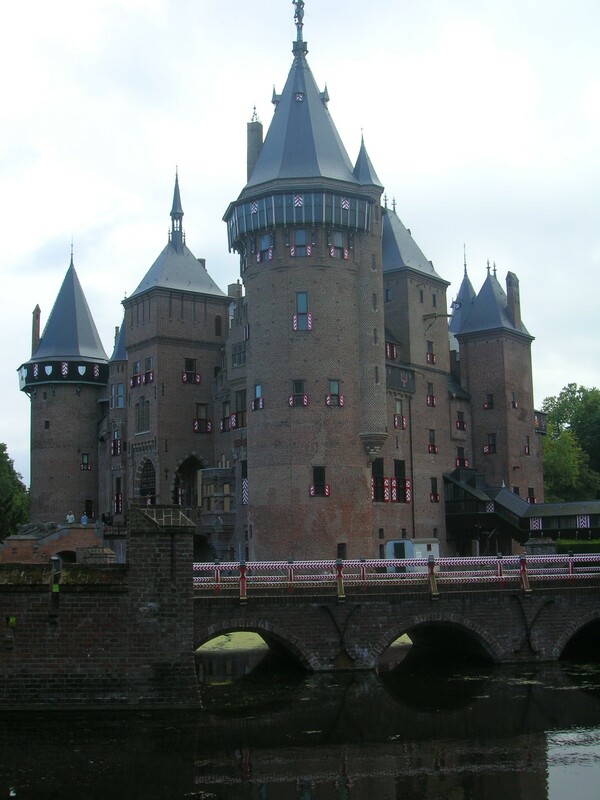 Kasteel de Haar, near Utrecht about 30 mins away from Amsterdam, dates back to the 14th century. 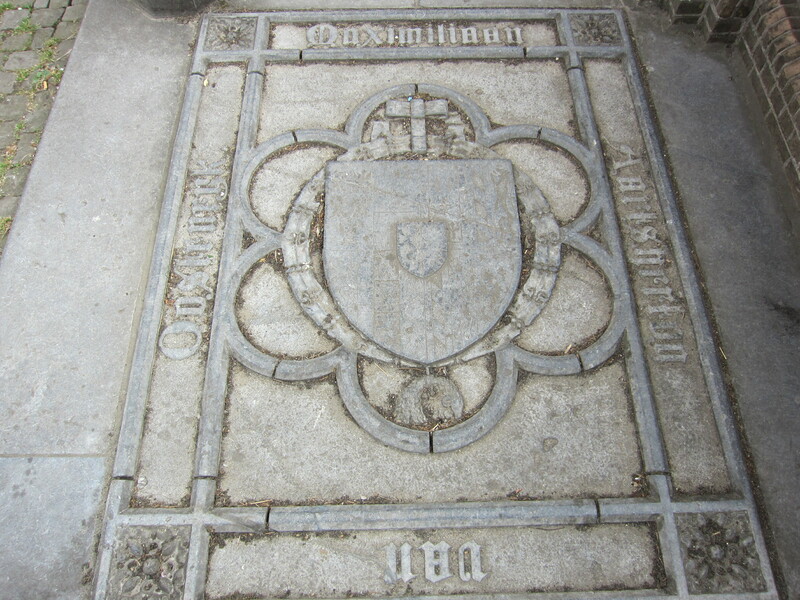 The actual castle that you see today though was largely built in the late 19th century, upon the old ruins. 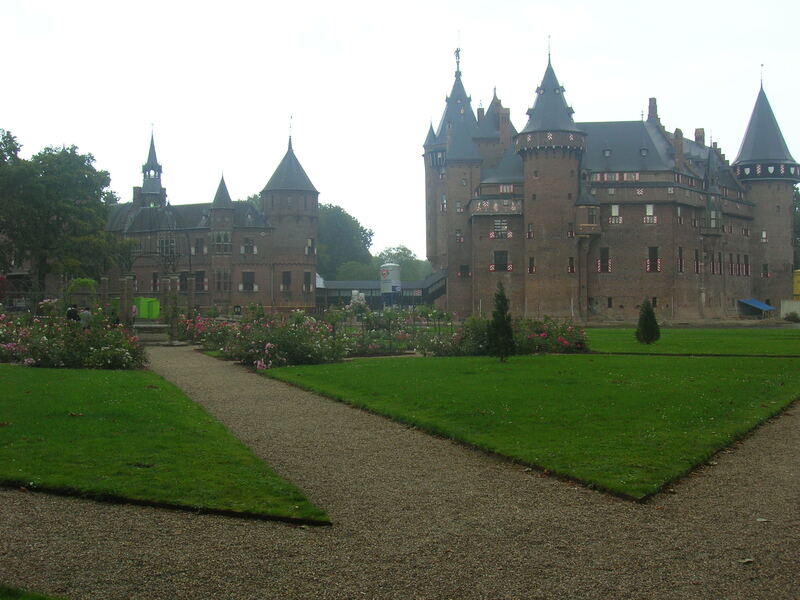 First the castle belonged to the de Haar family (hence the name) and then to the Van Zuylens. 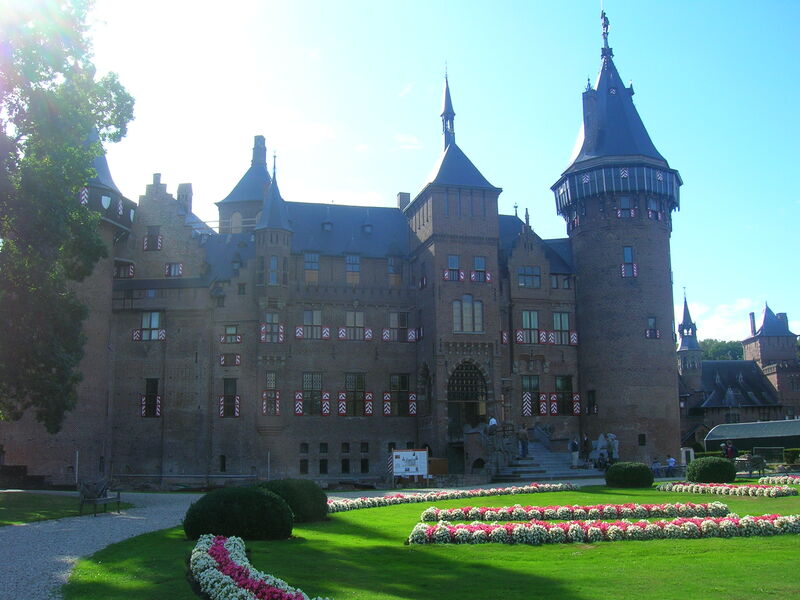 Then in 1890 it went to Etienne van Zuylen van Nijevelt, who due to his marriage to Hélène Caroline Betsy, Baroness de Rothschild, was finally able to restore the castle to its former glory. As you can see, the Rothschilds’ money was put to good use. English tours are available and you should book in advance as they do sell out. The grounds are huge and even if you don’t go in, you can enjoy the beautiful gardens. If going on the weekend, you may see little girls in princess dresses running around, fully buying into the princess fantasy. 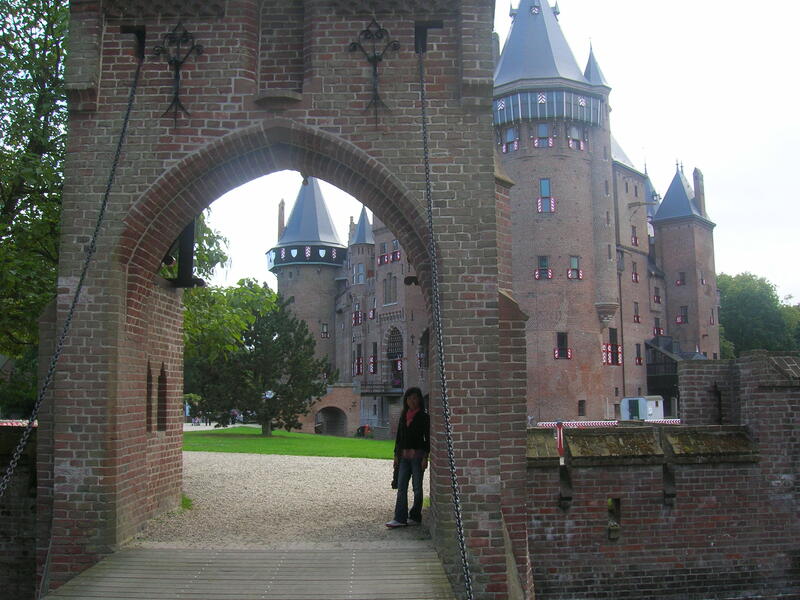 Another beautiful Dutch castle is Kasteel Heeswijk. 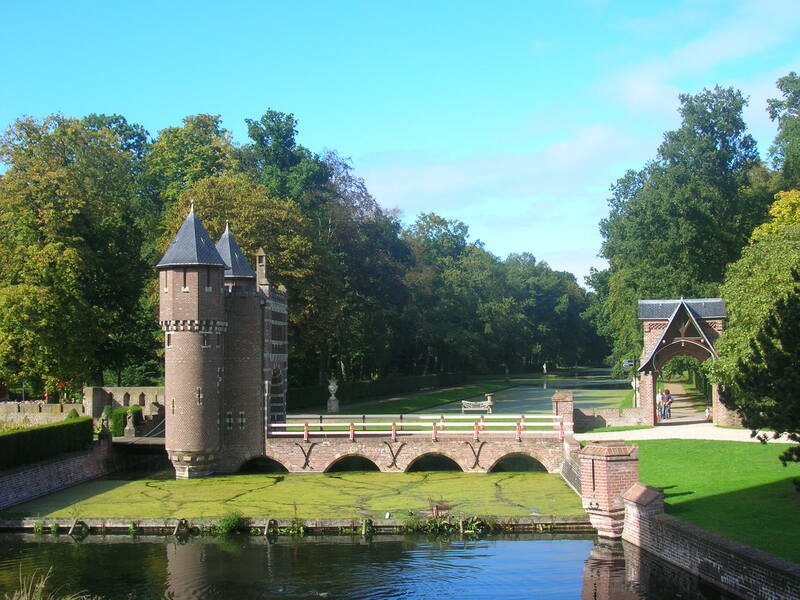 Kasteel Heeswijk, located is one of the Netherland’s most beautiful and complete castles. 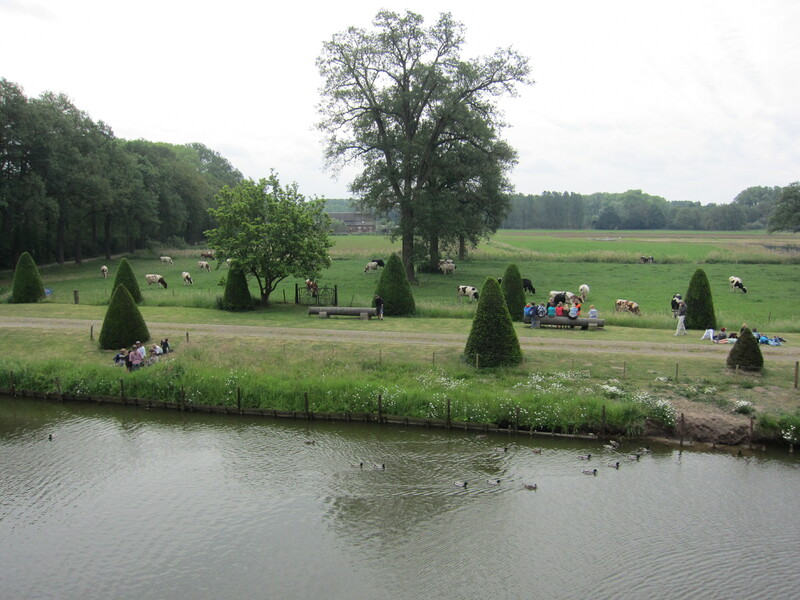 It has everything that you want in an European castle: in the middle of the countryside with cows lazing nearby, surrounded by a moat that you cross over on a drawbridge, sprawling grounds, and beautiful ancient buildings. You can practically envision knights and princesses prancing about. 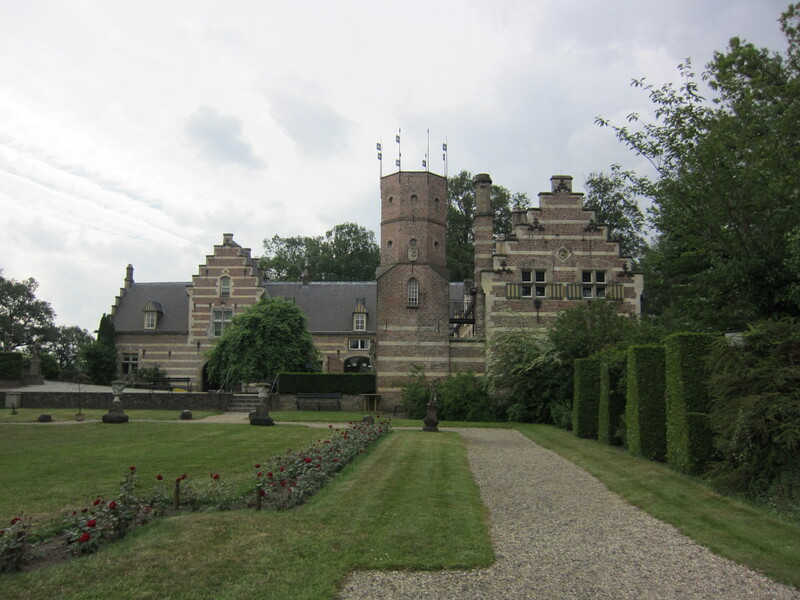 Kasteel Heeswijk dates all the way back to the 11th century and have been home to many families over the years, the last being that of André Baron van Bogaerde van Terbrugge, Govenor of Brabant, who arrived in 1835. Tours are available although if you want an English one, you should contact them prior to arriving. Hubby and I just happened to arrive at a time when a tour was about to start and to our surprise, there was only one other couple joining. The other two people were an older Dutch couple and the tour guide was a lady of certain age too, so I didn’t ask whether she could translate everything she just said into English (not sure if she even could) just for me. I pretended to understand what the heck she was saying the whole time. 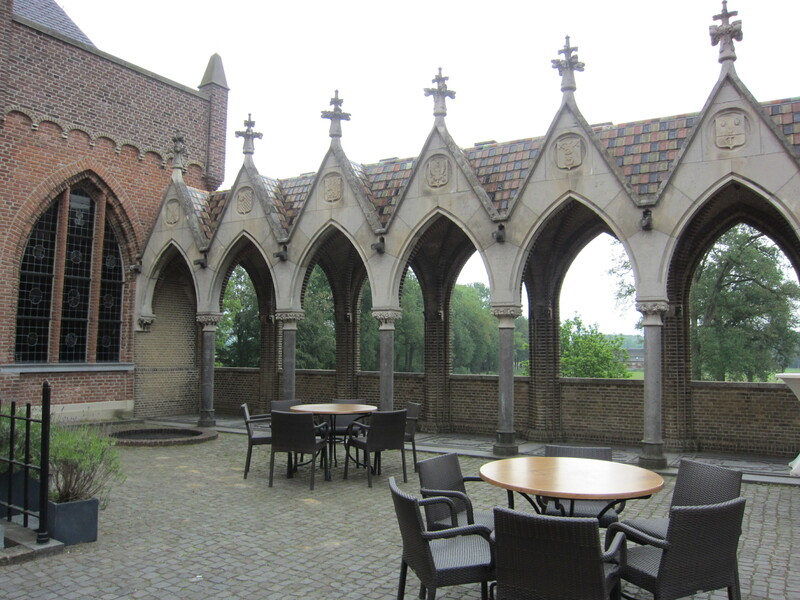 The furnishings inside the castle are those mainly of the Van den Bogaerde van Terbrugge family. The most impressive room for me was their family dining room, which unfortunately you can only look at through a glass screen. Like many other Europeans of a certain class and economic status at that time, they decorated the room in a chinoiserie style. 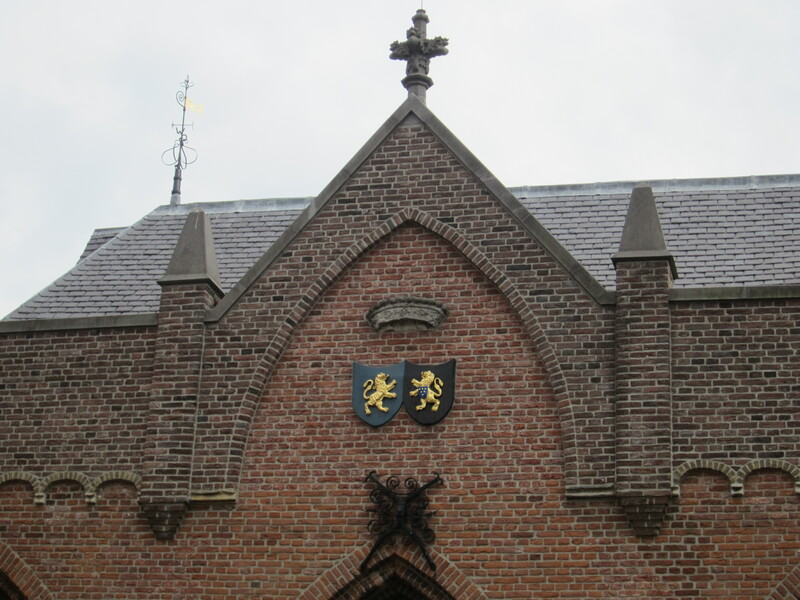 Surrounding the castle are a few houses with shutters and doors decorated in a way that indicated ownership by the castle’s ruler. That’s not the case anymore but the houses can’t be changed because of their historical significance. The castle is now a popular location for weddings, conferences and other events. 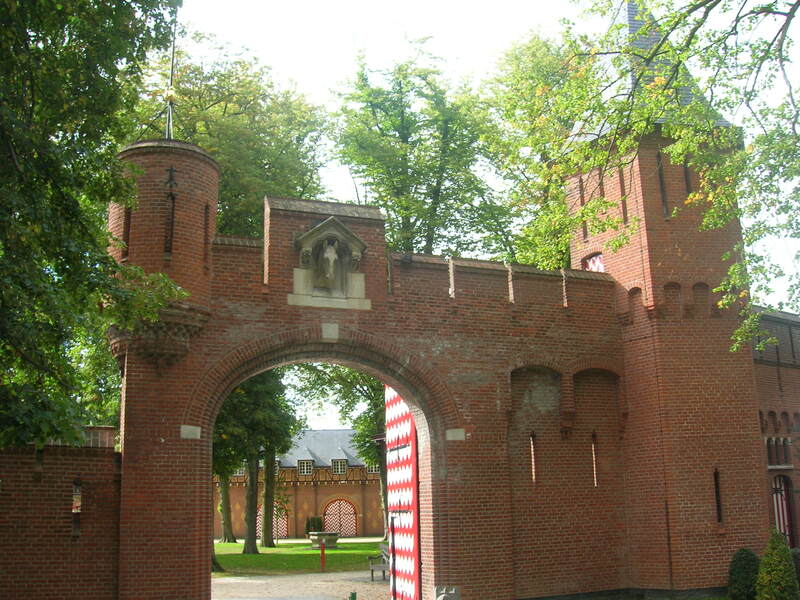 If you have a car when visiting the Netherlands, I highly recommend making the drive out to Heeswijk-Dinther (toward the south) to check out this marvelous castle. 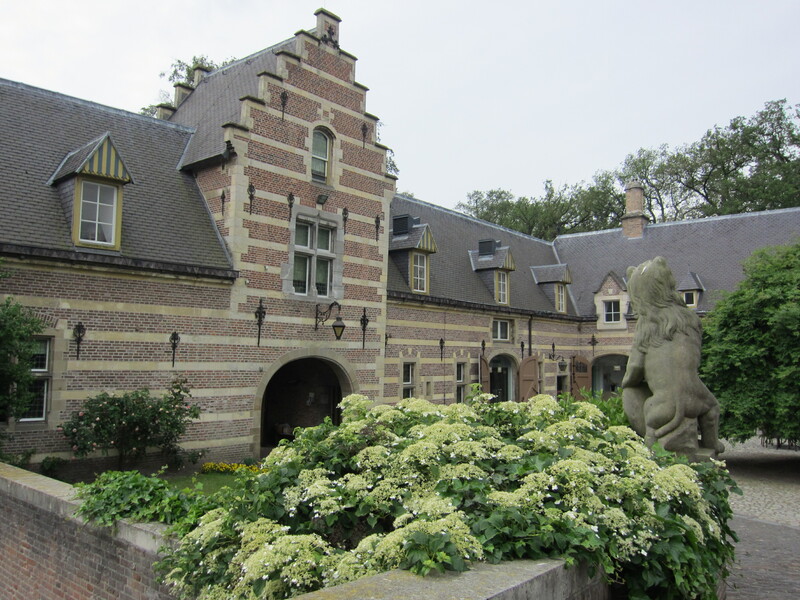 I did not know this when I went but near the castle is Interart Sculpture Garden & Gallery, the first sustainable Gallery of the Netherlands. It certainly looks interesting if you’re into art, nature and want to support sustainable energy. Hopefully next time I’m in the country I’ll be able to go! 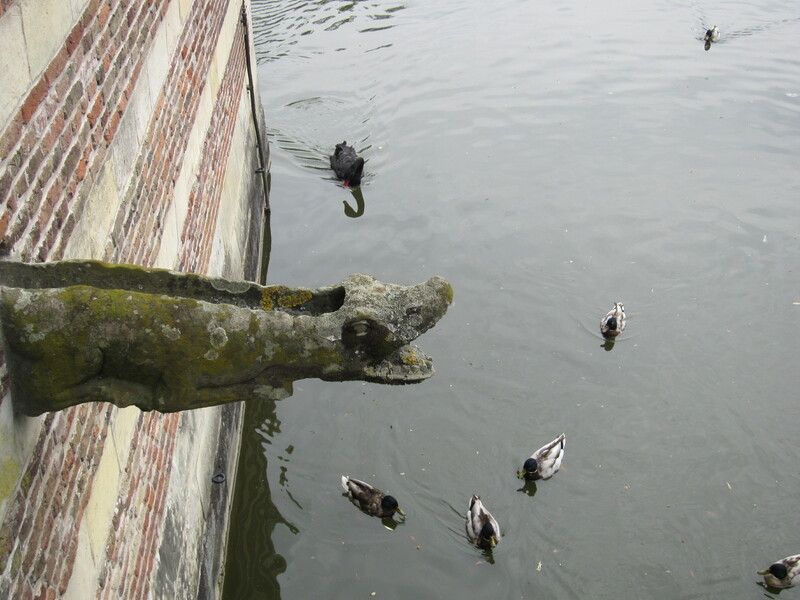 I’ll write about Muiderslot, the castle most accessible to tourists because of its close proximity to Amsterdam, in another post. I would probably say de Haar. It’s not far from Amsterdam and is very beautiful. Be sure to book the English tour in advance if you don’t understand Dutch. 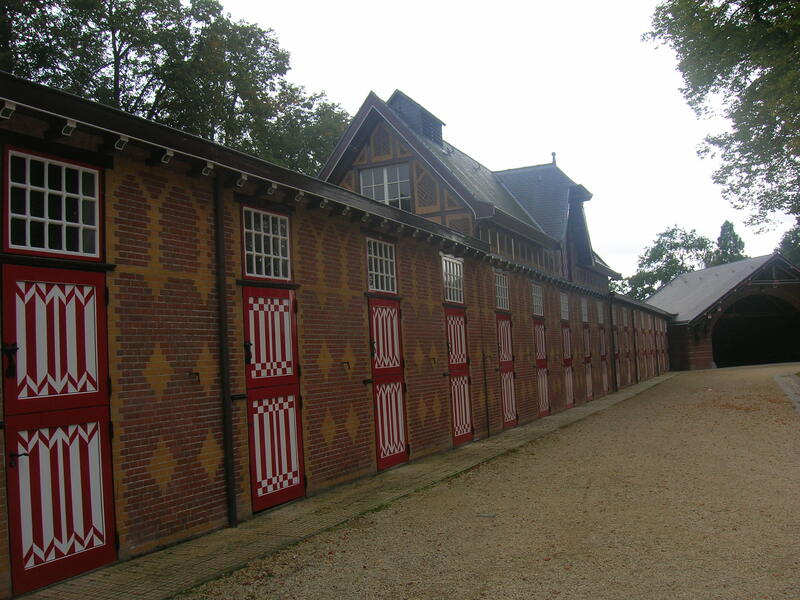 Heeswijk is much further from Amsterdam. Haven’t been to Heemstede, looks like there’s an excellent restaurant there though I’m not sure if you can actually tour inside. Have fun!